Kangchenjunga is the third highest mountain in the world, and lies partly in Nepal and partly in Sikkim, India. 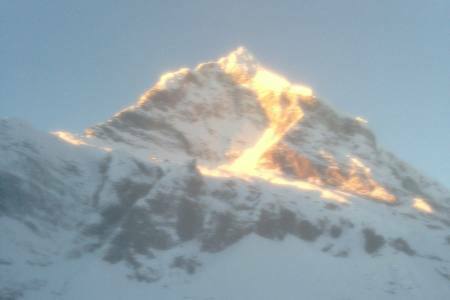 It rises with an elevation of 8,586 m (28,169 ft) in a section of the Himalayas called Kangchenjunga Himal that is limited in the west by the Tamur River, in the north by the Lhonak Chu and Jongsang La, and in the east by the Teesta River. Mt. 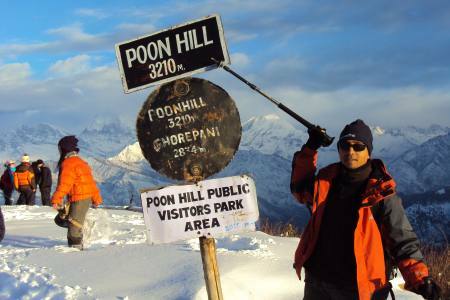 Kanchenjunga is located on the very remote border between Nepal and Sikkim and attracts relatively few trekkers. Due to its remote location it retains its pristine beauty, mystery and charm. For most mountains above 8,500 meters we advise clients to climb in the spring season. 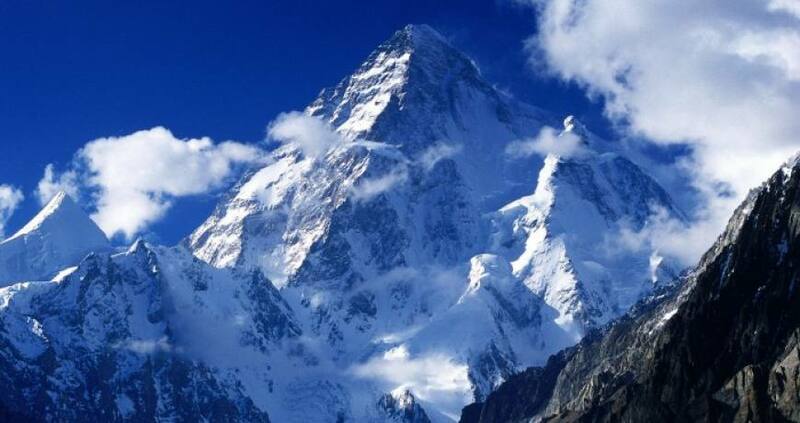 This peak can be attempted in the fall, but becomes very difficult due to its snow conditions. 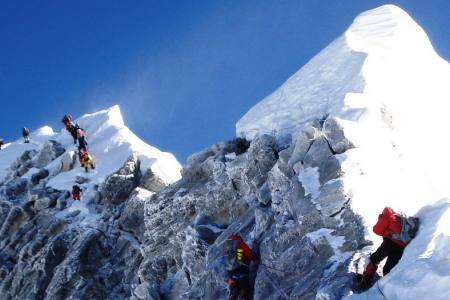 There are two famous climbing routes in Kanchenjunga for the main summit. 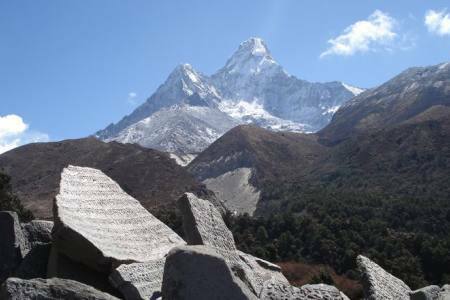 The Normal climbing route is along the South east side of the mountain from the Yalung glacier. Kanchenjunga Expedition is not recommended for inexperienced climbers or climbers attempting their first 8,000 meter expedition. 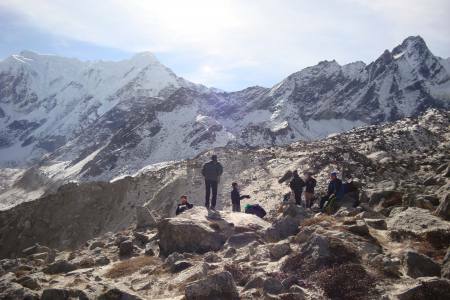 The scenery is phenomenal all the way from base camp overlooking the Kanchenjunga glacier. The most difficult section of the climb is the South Col which consists of 500 meters of mixed ice and rock climbing. We will fix ropes in this area for climbing safety. Day 01: Drive from Khamdani to Ilam(3636m/11,930ft) 7 hrs.Lodge accommodation. Day 03: Arrival in Kathmandu Airport and transfer to hotel Yak and Yeti or similar hotel accommodation in Kathmandu (1350M/4,430ft). Day 03: Leisure and shopping,.Farewell-celebration dinner in the evening. Day 04: Preparation, briefings, last minute shopping and formalities. Day 06: Drive from Kathmandu to Phidim(1200m/3,937ft) 12hrs.Overnight hotel accommodation. Day 07: Drive from Phidim to Khamdani via Dahalgaonby a local Jeep (1650m/5,413ft) 4hrs. Overnight at tea house/camping accommodation. Day 08: Trek from Khamdani to Khebang(1910m/6,267ft) 5 hrs.Tea house/camping accommodation. Day 09: Trek from Khebang to Yamphudin(2080m/6,824ft) 7hrs.Tea house/ camping accommodation. Day 10: Trek from Yamphudin to Tortong(2995m/9,826ft) 8 hrs.Tea house/camping accommodation. 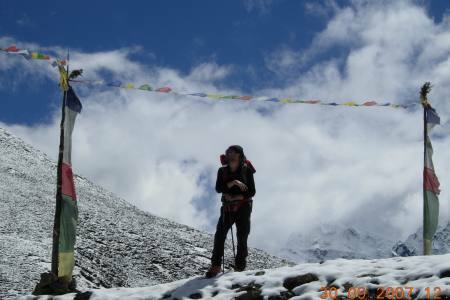 Day 11: Trek from Tortong to Cheram(Tseram)(3870m/12,697ft) 7hrs.Teahouse/camping accommodation. Day 12: Trek from Tseram to Ramche call as Ramchaur (4530m/14,862ft) 5hrs.Teahouse/camping accommodation. Day 14: Trek from Ramche to glacier camp (5176m/16,981ft) 6hrs. Camping accommodation. 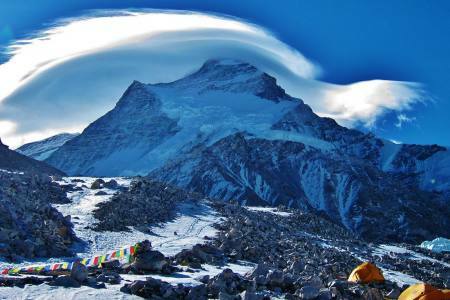 Day 15: Trek from Tso glacier camp to Kanchenjunga Advance base camp (5400m/17,717ft) 6hrs. Day 16: Kanchenjunga climbing period (8586m/28,169ft)Summit. Day 27: Trek from Yalung Base camp to Ramche(4530m/14,862ft) 7hrs. Day 28: Trek from Ramche to Tortang (2995m/9,826ft) 8hrs. Day 29: Trek from Tortang to Yamphudin(2080m/6,824ft) 5hrs.Tea house/camping accommodation. Day 30: Trek from Yamphudin to Khebang(1910m/6,267ft) 5 hrs. Tea house/ camping accommodation. Day 31: Trek from Khebang to Khamdanivia Dahalgaon(1650m/5,413ft) 6hrs.Tea house/camping accommodation. 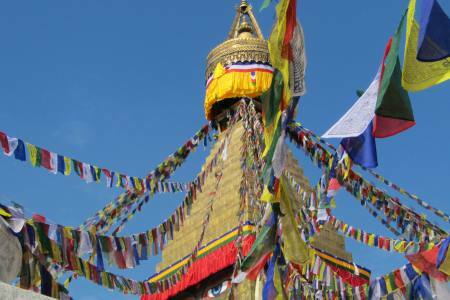 • Hotels accommodation in Kathmandu on B/B basis. 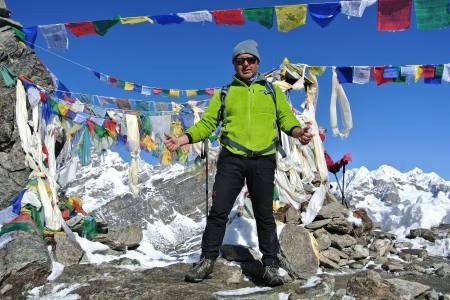 • Experienced and government licensed high altitude trekking guide during the trekking and climbing period. • Private Bus or Jeep Transportation from Kathmandu-Teplejung (Khamdani)-Kathmandu sector to all climbing member, Sherpa guide, liaison officer and kitchen staff. • All trekking and mountaineering equipment, kitchen tent, storage tent, dining tent, toilet tents, tables, chairs, and cooking utensils for advance Base Camp and camp two. • Services of chef and kitchen assistant at base camp. • 3 meals a day: breakfasts, lunch and dinner with tea/coffee)available at the tea house/hotel/lodge during the trekking period. • 3 fresh meals a day: breakfast, lunch and dinner will be served at advanced base camp. • All food and fuel for base camp and higher camps during the expedition for both clients and staff. 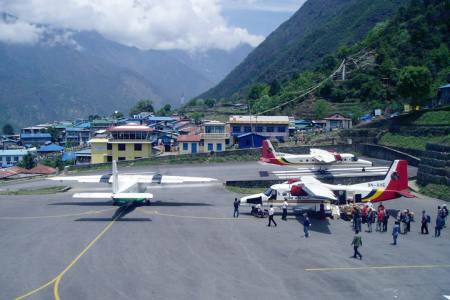 • 50 kg baggage allowance per person during trekking period. This will be carried by porters. • Daily weather report services from Seattle, Washington based company. • TIMS card (Trekking Information Management System). 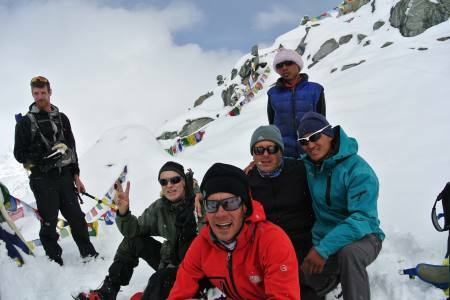 • Expedition Royalty and climbing permit of Nepal Government to climb Mt. 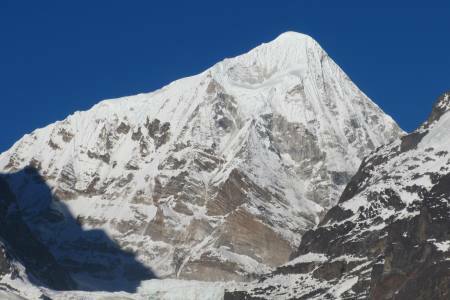 Kanchenjunga (8586M). • Nepalese Government Royalty and fees. 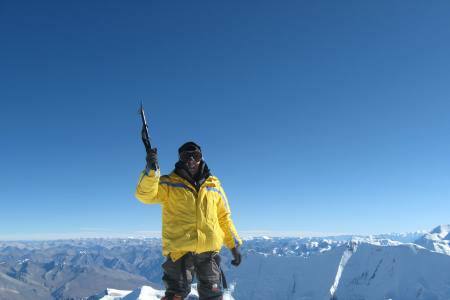 • One experienced, trained, government licensed and 3x Kanchenjunga Summiteer climbing/expedition Guide (Sherpa) per client. 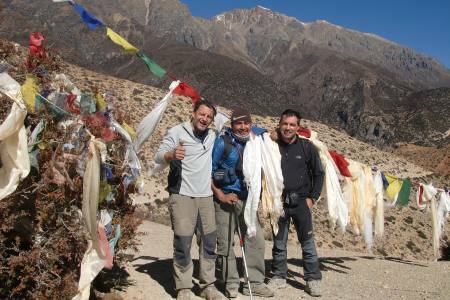 • All wages, equipment, medical and accidental Insurances for all involved staff during the trekking and expedition period. 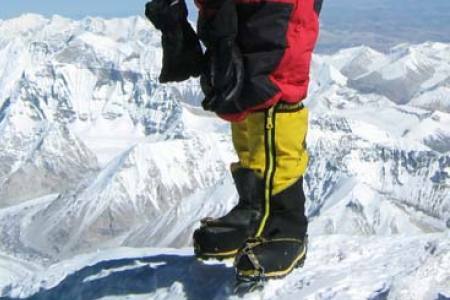 • Equipment allowances and wages for climbing Sherpa’s, chefs, kitchen assistants. • Equipment allowances and wages for government liaison officer. • First aid medical kits for the group and the staff. • Appropriate food for high altitude and all climbing crew at base camp and above as required. • Required fixed and dynamic rope during the climbing period. • Heater will be provided at base camp for heating the dining room. • Emergency oxygen, mask and regulator provided on requirement of guest with appropriate charge. • Each expedition member will have an individual tent available in the ABC. • Solar panel for light and battery charging. • All tents for camp 1, 2, 3 and 4 for members and staff. • Ice fall charges by SPCC. • Gamow Bags (Portable Altitude Chamber). • 5 Bottles (28L) of Poisk Oxygen will be provided each members (we use Poisk brands of the Oxygen). • Latest model of Summit or Top out system mask and regulators. • Sherpa’s tents, food for climbing, and insurance for staff. • Helicopter rescue insurance for high altitude climbing Sherpa guide, cook and staff. • Free assistance service for cargo clearance and duties. • Fresh cooked food and kitchen will be provided at camp II. 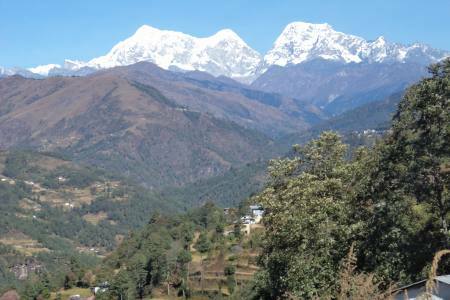 • Trekking and climbing map of the Mount Kanchenjunga region. • EPI Cooking gas, stove will be provided in camp one, three and south col for cooking food, boiling water. • Generator will be providing for back-up lighting power and charging electronic equipment. 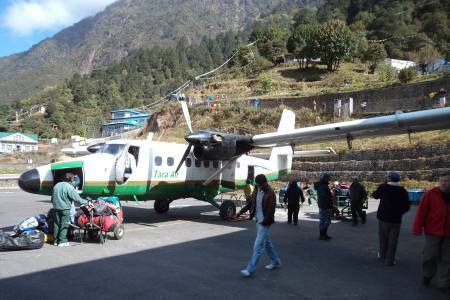 • Transportation of food supply to base camp from Kathmandu (Cargo to Lukla and then by porter/Yaks to base camp). • Our service charge and government taxes levied in Nepal. • Visa extension procedure services (if necessary). • Farewell dinner in a typical Nepali restaurant with domestic culture show in Kathmandu. Any packed food/snacks, aerated drinks, energy drinks, mineral water, alcohol, cigarettes, Chocolates, nutria-bars or any other food consumed beyond the prescribed breakfast, lunch and Dinner,etc. Expenses incurred towards usage of landlines, mobiles, walkie-talkies or satellite phone and Internet expenses. Any extra expenses arising out of various/unforeseen situations like natural calamities, landslides,political disturbances, strikes, change in Government regulations, etc. Summit Bonus US$ 1000.00 per Sherpa by per member. Day 01Drive from Khamdani to Ilam(3636m/11,930ft) 7 hrs.Lodge accommodation. Day 03Arrival in Kathmandu Airport and transfer to hotel Yak and Yeti or similar hotel accommodation in Kathmandu (1350M/4,430ft). Day 03Leisure and shopping,.Farewell-celebration dinner in the evening. Day 04Preparation, briefings, last minute shopping and formalities. Day 06Drive from Kathmandu to Phidim(1200m/3,937ft) 12hrs.Overnight hotel accommodation. Day 07Drive from Phidim to Khamdani via Dahalgaonby a local Jeep (1650m/5,413ft) 4hrs. Overnight at tea house/camping accommodation. 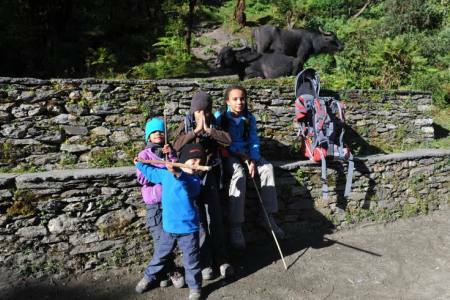 Day 08Trek from Khamdani to Khebang(1910m/6,267ft) 5 hrs.Tea house/camping accommodation. 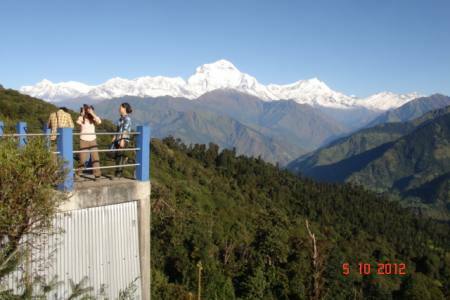 Day 09Trek from Khebang to Yamphudin(2080m/6,824ft) 7hrs.Tea house/ camping accommodation. Day 10Trek from Yamphudin to Tortong(2995m/9,826ft) 8 hrs.Tea house/camping accommodation. 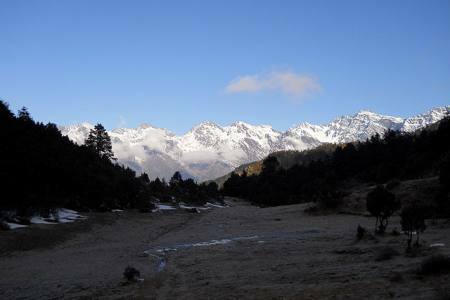 Day 11Trek from Tortong to Cheram(Tseram)(3870m/12,697ft) 7hrs.Teahouse/camping accommodation. 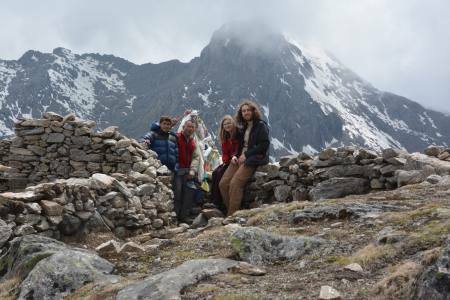 Day 12Trek from Tseram to Ramche call as Ramchaur (4530m/14,862ft) 5hrs.Teahouse/camping accommodation. Day 14Trek from Ramche to glacier camp (5176m/16,981ft) 6hrs. Camping accommodation. 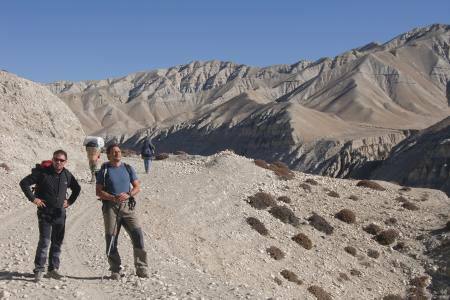 Day 15Trek from Tso glacier camp to Kanchenjunga Advance base camp (5400m/17,717ft) 6hrs. Day 16Kanchenjunga climbing period (8586m/28,169ft)Summit. Day 27Trek from Yalung Base camp to Ramche(4530m/14,862ft) 7hrs. Day 28Trek from Ramche to Tortang (2995m/9,826ft) 8hrs. Day 29Trek from Tortang to Yamphudin(2080m/6,824ft) 5hrs.Tea house/camping accommodation. Day 30Trek from Yamphudin to Khebang(1910m/6,267ft) 5 hrs. Tea house/ camping accommodation. 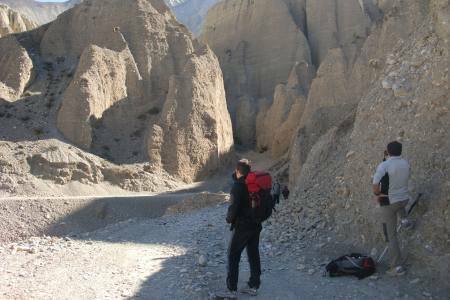 Day 31Trek from Khebang to Khamdanivia Dahalgaon(1650m/5,413ft) 6hrs.Tea house/camping accommodation.